You are here: Home / Welcome to our Blog / Boilerhut / When Is The Best Time To Replace Your Old Boiler? It is prudent and wise to know when is the best time to replace your old boiler. This way you can avoid sudden boiler breakdown and inconveniencing yourself and your family. The great news is that thanks to improved designs, technology and engineering, modern condensing boilers are highly efficient, and last a lot longer than non-condensing boilers that were only manufactured as little as 12-15 years ago. In that same decade, thermostats, weather compensation and smart controllers have also evolved by leaps and bounds allowing you to heat each area in your home precisely with pinpoint accuracy. With advancements in technology, we’re also looking at new things like weather compensation, which will soon be mandatory for all new boiler installations across Europe. So, if your boiler is 10-12 years or older, and you’ve decided to replace your old boiler, you will definitely use less gas and save a lot more money. Before you jump head-first into the decision though, there are various considerations to make. At the moment, most energy providers are estimating potential savings of around £200 to £400 annually, or about one third of your heating bills straight away if your replace your old boiler. If you install the proper heating controls and set them up correctly, you could be even saving up to 40% off your bills. The Energy Saving Trust is responsible for calculating this number and it is based on a household with the least-efficient and oldest boiler for a semi-detached, three bedroom house. However, the truth leans more towards if you currently have a boiler that was installed between the late 90s and early 00s, you are only going to save 50% of that. As the price of a new boiler installation is an average of £2,300 from independent installers, with bigger energy companies quoting something along the lines of £3,500 to £4,000, the short-term savings are unlikely to be too impressive when you replace your old boiler. However, you will save a lot of money over the long term. Especially because boiler manufacturers like Viessmann manufacture their own patented Inox-Radial Stainless Steel Heat Exchangers, their boilers are highly efficient and reliable. And because Inox stainless steel is highly corrosion resistant, your boiler is efficient for that much longer. This also means you will need fewer expensive and emergency call-outs because your boiler decided to not work anymore. 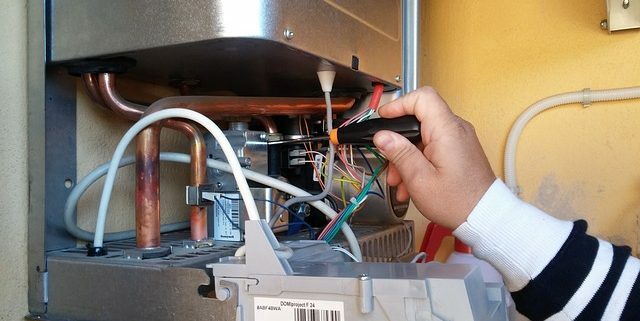 When Should You Replace Your Old Boiler? As boilers in general have a lifespan of at best 15 years, if your boiler is getting anywhere near that, it may be a good idea to save for a replacement boiler. Annual services are something you should invest in (either via care plans or one-time payments) to help ensure your boiler stays in great condition for longer. 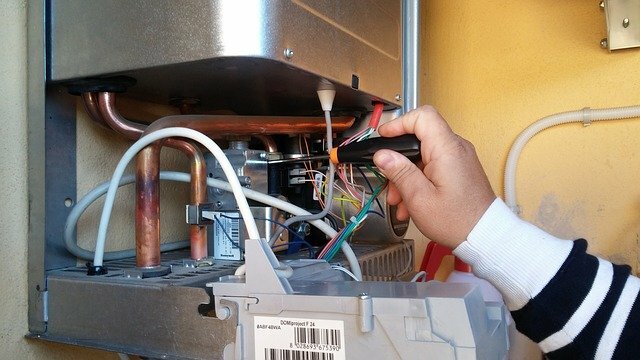 Timely maintenance lowers the chances of your boiler malfunctioning unexpectedly and keeps them working efficiently. 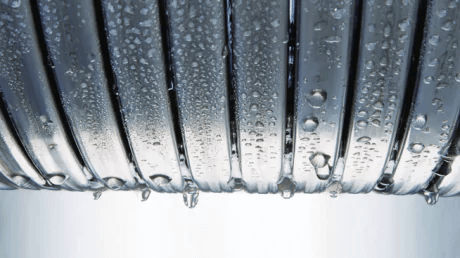 To ensure your boiler is in efficient working condition, you need to organise periodical servicing (at least once annually) by a professional. An annual boiler service not only preserves manufacturer’s warranty, it makes sure your boiler is safe. The service engineer may also be able to identify minor problems that could become more serious, and therefore expensive, before they get to that stage. A yearly service offered by independent installers and through your energy provider can range in cost between £60 and £150. Yearly service plans or Care Plans are available with monthly payments which will possibly give you some extra benefits. (You won’t have to deal with the manufacturers directly, the installer will do all of the ground work and deal with any warranty claims). Regular annual services not only preserve manufacturer’s warranty, but also avoid you having to replace your old boiler any time in the next 10-15 years. Boiler insurance vs paying for care plans with a monthly payment is still a subject that no-one can agree on. However, as many basic policies can start on monthly premiums of as little as £10, if you have a tight budget or don’t have the saving to afford repairs, it may be worth investing in it. As part of some boiler insurance packages, you will always get an annual check and service. The things you need to be careful about is the fact that there will be excess you will have to pay for call-outs and as with any insurance documents, there will be jargon-filled terms and conditions to read and understand. It is a good idea to also have a look at your home insurance policy as your boiler may be covered by that. A higher capacity combi boiler. A combi boiler with a built-in water storage tank. A system boiler with a hot water cylinder. A standard boiler if your house is bigger. Regardless, though, of the system your boiler used, any new boiler installed in 2018 and going forward, will be a condensing boiler. As of 2005, condensing boilers became mandatory by the government, thanks to them being more than 90% efficient. Condensing boilers make use of the heat that would otherwise be wasted during the process of heating. They do this by condensing the water vapour back into water again. Condensing boilers have impressive technology, and when you decide to replace your old boiler, the great thing is that there are very few changes that would need to be made to your current system to install one. All the extras you would need are an addition of a condensate pipe, or pump (if you live in a flat) and a brand new flue. It is important to understand though that, partly because the technology is still in its infancy, there are still issues that can arise. For instance, during the severe period of below-freezing temperatures in 2011, boilers failed due to the condensate pipes freezing up. This has been remedied since then with developments in the installation process to ensure that larger bore pipes are used and that more of the pipework is run inside the home and out of the cold. Or the pipes are properly insulated. This is worth bearing in mind, so you can confirm this with surveyors or boiler installers/engineers if they are going to have these safeguards in place while they replace your old boiler. You are only likely to buy one to two, possibly even three boilers in your lifetime, and because the technology advances between each purchase, the price always increases. So, buying a new boiler is never going to be a cheap affair. After the actual boiler itself, which for an rated-A condensing model can range between £400 and £2,000 (for a gas boiler), there is also the second most expensive part of the cost – the installation. The average, day-long installation job for two men will set you back by a minimum of £500. Obviously, that number is only a general guideline, as no two jobs are the same. As you can see, the price increases very quickly and that’s not including the extras that are not essential, but could be worth investing in such as wireless thermostat and boiler controls (at roughly £150) and thermostatic radiator valves (at a cost of around £20 per radiator). Once you have decided on the boiler you want to buy, you need to get the right people to install it. You have the choice of booking the installation through a specialist boiler installation company like Boilerhut, or your energy supplier, or a local plumber. Quotes from your energy supplier will almost always be higher compared to an independent company, and a local plumber. Local plumber quotes will be the cheapest, but we wouldn’t recommend them mainly because of lack of after-sales support. Which is why a boiler installation company is the fastest and most reliable route. There are also often extra benefits such as smart controls and boiler care packages. Before you settle on a choice though, it is important to get as many quotes as possible to ensure you are getting the very best deal possible. If you would like to get a quote from Boilerhut to replace your old boiler, please enter your postcode in the box below and hit the green button. How Long Will It Take Our Team To Install Your New Boiler? How Much Is Your New Boiler Likely To Cost You?